Living… with her fiancé Roy in Scranton, Pa. Pam was hesitant to live together before they were engaged. Then they got engaged, and for some reason she was still hesitant. Then they moved in together, and the nagging feeling didn’t leave. Maybe it’ll improve with time. Profession… receptionist at Dunder Mifflin Paper Company. She still considers it a temporary gig, even though she’s done it for years without any other real prospects. Playing FreeCell at her computer keeps her sane enough to stand it. As she (accurately) states, "I don't think it's many little girls' dream to be a receptionist." Interests… illustration, mostly watercolor and oil pencil. She keeps it a personal passion, lacking the gumption to try to make a career of it. Her co-worker and good friend Jim encourages her to take more pride in her work and consider taking classes. That means a lot, coming from him. Relationship Status… ambivalently engaged for three years. They’d been dating for five years before he proposed. It seemed like the next logical step. Isn’t that what people do? There are things she wishes she could change about Roy, but at this point she’s accepted him for who he is. She’s always had chemistry with Jim in the office, but that’s just joking around. Real life could never be that great. Roy, for all his faults, is real life. Challenge… breaking out of the monotony of mediocrity. She’s got a job she isn’t crazy about – but it gets her by. She’s engaged to a guy she’s not sure is “The One” – but it gets her by. Pam’s problem is she might be losing her hunger for something more. She might wake up one day completely content with what she has, and that’s her real nightmare. Personality… friendly and sweet, but shy and a bit mousy. Pam’s never been the type to take a stand or “go for it.” She says more with her face than with words. She tolerates without complaint. These aren’t qualities she admires about herself. She’s actively trying to change them. 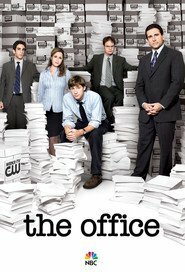 Pam Beesly's popularity ranking on CharacTour is #824 out of 5,000+ characters. See our top-ranked characters and read their profiles.